For the first time, we are taking the Project Play Summit to a different part of the country. The nation’s premier gathering of leaders at the intersection of youth, sport and health will be held Sept. 17-18, 2019, in Detroit. Registration will begin in late May. The Project Play Summit is where stakeholders from across sectors take measure of the state of play and chart next steps in building healthy children and communities through sports. The event will continue to explore national trends, while sharing lessons learned from our community-based work. What if we measured coaches more by the personal development of athletes than wins and losses? 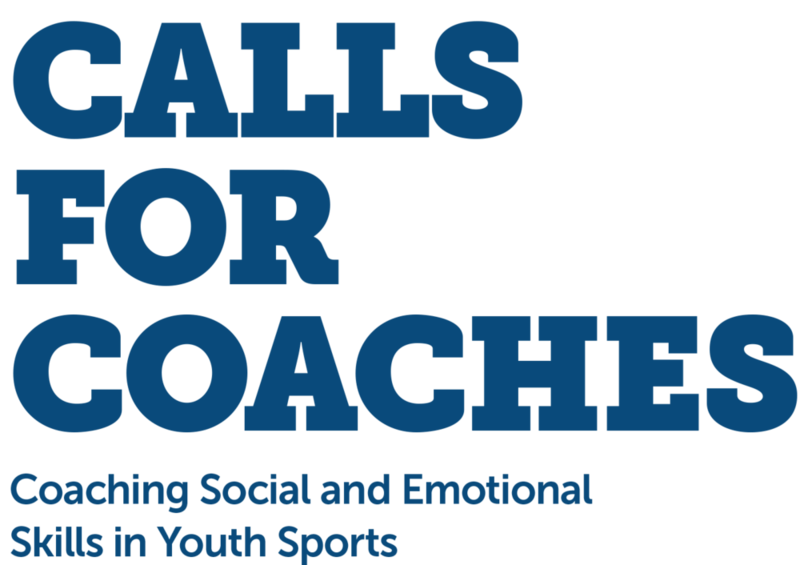 Read Calls for Coaches, a new resource from the Aspen Institute Sports & Society Program and National Commission on Social, Emotional, and Academic Development to help youth sports coaches develop personal growth in their players. Watch live or archived our Future of Coaching discussion (March 5, 10:15 am-12:30 pm ET). Editorial Director Jon Solomon explored why good coaches matter beyond wins and losses. Project Play is looking for high school sports teams that embrace best practices and innovate to encourage physical activity, minimize injury risk, and support athletes' emotional, social and mental well-being. Apply now for our Healthy Sport Index contest. Winners will receive a financial award and national recognition as a model for others in their sport. 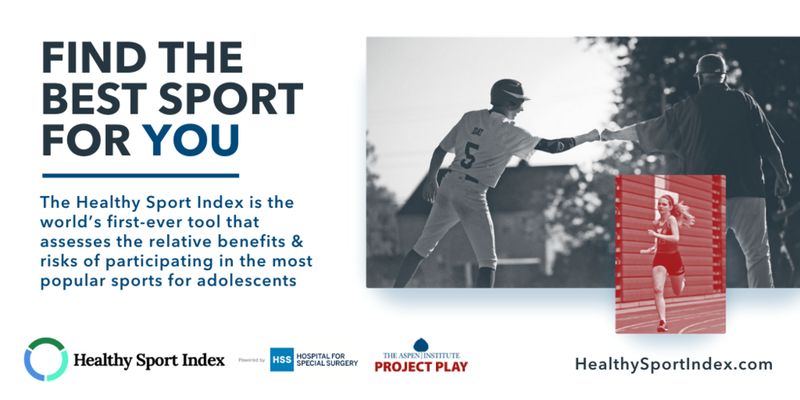 Launched in October 2018, the Healthy Sport Index identifies in one place the relative benefits and risks of participating in the 10 most popular high school sports for boys and girls. The tool combines the best available data and expert analysis while allowing users to customize sport-by-sport results by their own health priorities. Also learn which sports are most complementary to play, for athletic skill development and overall health. Project Play 2020 is a multiyear by leading organizations to grow national sport participation rates and related metrics among youth. We periodically speak with a leader from one of the 20 organizations to assess the state of youth sports. 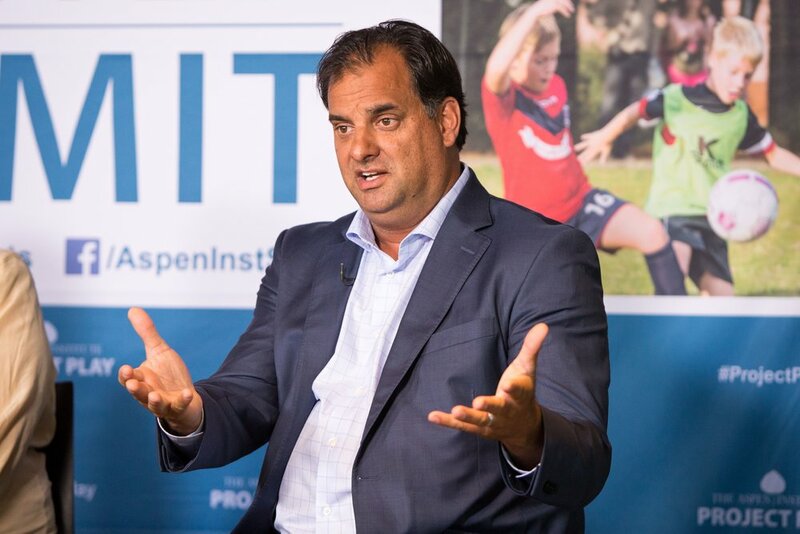 The latest spotlight: Dev Pathik, Sports Facilities Advisory | Sports Facility Management, explores how cities and facilities can re-orient their thinking to address gaps driven by the income disparity that exists in today’s youth sports landscape. Our annual State of Play report identifies 40 key developments and presents the latest data on sport participation and physical activity rates among youth. The latest report was released in October 2018 and includes a look at the progress made since Project Play launched in 2013. HowToCoachKids.org aggregates resources to train coaches by sport and topic, and includes a new, free 30-minute course on the general principles of coaching children through age 12. Co-developed by Nike and the U.S. Olympic Committee with the help of the Aspen Institute, the resource was inspired by Project Play 2020, a multiyear effort by leading organizations to grow national sport participation rates and related metrics among youth. In 2019, parents, sport leaders, civic and school leaders, non-profits and others will be able to use the digital platform to help build Sport for All, Play for Life communities. The toolkit draws on knowledge the Aspen Institute has acquired from landscaping the state of play for youth and mobilizing leaders in several cities, counties and regions. Users will have access to the toolkit, which has been developed in partnership with ESPN and Under Armour. The first and most important leader in the life of a child is the parent. So we created checklists with 10 questions that caregivers can ask themselves, their child, and sport providers that will help build an athlete for life. Which checklist is for you? Hundreds of organizations, from the U.S. Olympic Committee to grassroots sports providers, have used Project Play to shape and introduce youth programs. Among them: the Ralph C. Wilson, Jr. Foundation, which is using our expertise to guide grant-making, mobilize leaders and drive collective impact in Southeast Michigan and Western New York. We help organizations at the city, county and regional level assess how well children are being served through sports in their geographic areas. 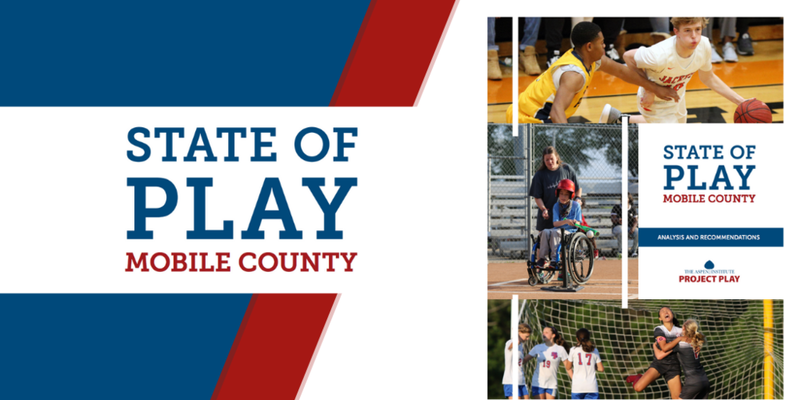 In October 2018, we released our latest report — State of Play: Mobile County, an in-depth report assessing the current state of play for kids and sports in Mobile County, Alabama. The report includes results from a survey of more than 1,700 local youth, and analyzes the challenges and opportunities facing Mobile County. Among the findings: girls have fewer sports opportunities than boys and 26 percent of surveyed youth said they are aware of adults betting on their game result. “We are appreciative of the Aspen Institute’s work in Mobile County and are excited for our local community to have access to the recommendations, which have proven success in the Aspen Institute’s five other markets,” said Jake Peavy, a former Major League Baseball player who helped partner on the report. More parents are starting their kids in flag football. Some leaders propose holding off on tackle until high school. What are the implications if there was no tackle football, and only flag, until high school? On Jan. 25, we held a panel conversation titled, "Future of Football: Reimagining the Game's Pipeline." Speakers included Dr. Robert Cantu, USA Football CEO Scott Hallenbeck, ex-NFL players Chris Borland and Domonique Foxworth, and Dartmouth coach Buddy Teevens. In September 2018, we produced a white paper on the topic, which was explored from five angles and offered recommendations moving forward for football. Norway athletes earned a record 39 medals at the Winter Olympics, a stunning 16 more than the United States. Norway is a nation of 5.3 million people, a population not much larger than Greater Detroit. Tom Farrey explores how many of the ideas underpinning Norway's sport system have begun taking hold in the U.S., especially among youth, and resemble Project Play strategies. Norway offers a road map on taking next steps for the U.S. sports model. Launched in September 2017, Project Play 2020 represents the first time that major industry and non-profit organizations have come together to grow sport participation and improve related metrics among youth. Step One: develop tools for coach training and mobilize organizations to promote sport sampling. Read about the first round of mutually reinforcing actions, as well as commitments made through the new Project Play Champions program. Developed with input from more than 300 experts over two years, our seminal report offers an evidence-based concept of what good looks like in youth sports – and the nation's first framework on how stakeholders work together to grow access for all children, regardless of zip code or ability. The playbook identifies eight strategies for the eight sectors that touch the lives of kids, with 40+ activation ideas.